Fox Nation subscribers, who can pay $5.99 per month or $64.99 annually, will get access to a bevy of Fox News content new and old. On the new content side, the service (announced back in February) will produce roughly eight daily short-form programs, New York Daily News reports, with the intention of giving “exclusive content, exclusive experiences, and exclusive access” to Fox’s most loyal fans. 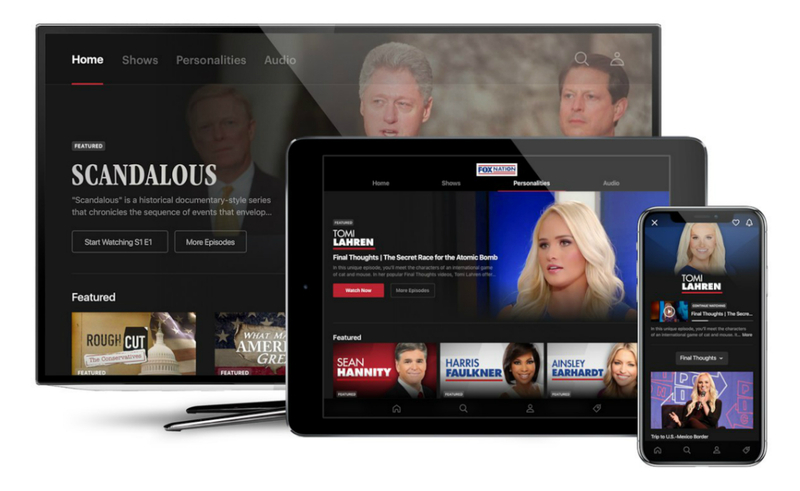 And subscribers will also get ad-free access to thousands of hours of content from the Fox News archives, as well as access to Fox’s library of documentaries like Planned Parenthood: The Hidden Harvest, Andrew Jackson: Hero Under Fire, and 13 Hours in Benghazi. Fox Nation’s daily programming schedule begins at 7 a.m. EST, and is specifically designed to work around Fox’s cable content. More programs are on the way to fill up the service’s slate — one, premiering Dec. 4, is hosted by Fox & Friends co-anchor Steve Doocy. He will bring on former White House director of communications Anthony Scaramucci to make a guest appearance. Fox is not the first outlet to kickstart its own niche streaming service, but unlike CBS All Access and HBO Now, which offer streaming of CBS and HBO’s regular programs, Fox Nation is meant to be an add-on for Fox watchers, not their main viewing hub. As such, it doesn’t include any of Fox’s current cable programming. Fox senior vice president of development and production John Finley told the Los Angeles Times that Fox Nation’s subscriber count is already “robust,” but would not share any numbers.